Bloop takes an alternate direction to his debut release Entheomorphic, this time exploring the dense, dripping undergrowth of deep psychedelic dub realms. 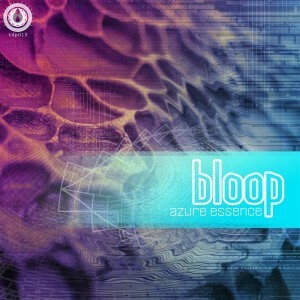 Released by Triple Drop Productions, Azure Essence contains an atmospheric journey of ambient glitch etching it’s way through the solid terrain of minimal dubstep. Mastered by Saxon Higgs at UProoted with artwork by Kris Northern. MP3 Download | FLAC Download | WAV Download · Download count: 6,947. Nice release, good percussion instruments! Great Album. Thanks Ektoplazm and Bloop. Checking out Entheomorphic as soon as possible.